Set across three defining eras from 20 years of Sonic the Hedgehog video game history, the instantly recognisable environments of Sonic Generations™ have been re-built in stunning HD and are now playable in both classic side scrolling 2D from 1991, as well as modern 3D style found in Sonic’s most recent adventures. Each incarnation of Sonic in Sonic Generations™ comes complete with his trademark special move, Spin Dash and Spin Attack for Classic Sonic, and Homing Attack and Sonic Boost for Modern Sonic. An innovative new interactive menu system allows for complete immersion in Sonic’s universe with favourite characters and hidden treasures gradually being revealed throughout the game. "Sonic Generations will certainly be a fitting celebration for Sonic’s 20th Anniversary" commented David Corless, Global Brand Director for Sonic. "By having the classic 1991 Sonic that many fans know and love team up with his modern day incarnation, we are bringing back the nostalgia of the early days of Sonic and combining it with the innovation and stunning HD technology of the modern gaming era. Sonic Generations will bring to life the last twenty years of Sonic’s universe in a truly unique and imaginative way"
This game is so boring that you won't notice it until you stop playing it and realise that you've wasted the longest 15 minutes of your life. So much game in this one and the price! Get it while you can. 5 STARS all the way. 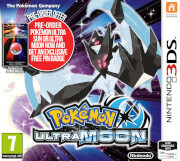 BIG MINUS FOR ZAVVI First my order is late or lost and then i get the essential version!! This game is a amazing adventure through levels woth 2D And 3D And it Makes it more fun to play. Didn't find the dynamic themes. Great Price and would recommend. Sonic Generations for PS3/XBOX 360 are the new hope for Sonic fans. Sonic is recovering the great way! Sega is a big company and has offered a lot of games with sonic but this game is great. It gives you the same experience of sonic that you felt when you played many years ago but now you can play with the new sonic. Very good game. Test your speed with sonic! Sonic Generations has it all. The fact we can play with both old and new sonic, adapting the stages to both play styles is done greatly. Gameplay is great and the new features for each Sonic are awesome. Graphics aren't the best around but are not the worst, I think they fit perfectly in this game tough. Game is challenging and provides a few hours of a great experience. Sonic Generations is the perfect game for Sonic fans, either from Mega Drive oldies, Dreamcast revolutionaries or both. Sonic is back, and Sonic Generations is very good - it's fast and beautiful. I'm only disappointed by the package which came. It was pretty much destroyed at the top, but the game is very nice. I recommend it to all Sonic fans, and gamers. 20 years have passed since I first had in my hands Sonic the Hedgehog. It was a game that impressed me because of its high quality. The speed of the character, the loopings, the impossible jumps, and other features seemed impossible to improve at that time. But later, sonic 2, sonic 3 and sonic & knuckles improved that feeling very much. Next generation, the jump to 3d didn't match my expectations. 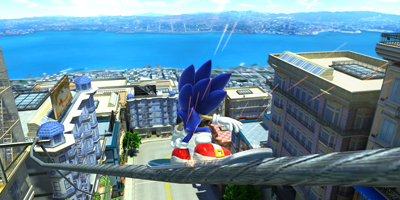 A high speed character like sonic became almost uncontrollable. 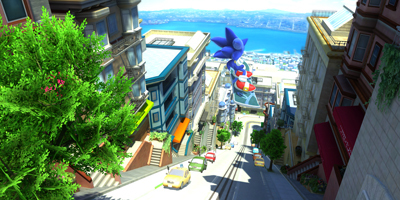 However, time has passed, and through many mistakes, sonic team improved the control and the circuit-like levels. In this title, we have control of the classic 2d Sonic and the actual sonic. The levels of the classic game have been highly improved and offer a high quality 3d experience. In this game we have the chance to play a stage of each representative sonic game, like sonic 1, sonic 2, sonic 3& knuckles, sonic adventure, sonic unleashed, sonic heroes.... and we may play them in 2d (act 1) and in 3d (act 2) The gaming experience is incredible for the old school players like me, something nostalgic, something new, and all sonic. The only thing that upset me, however, is the fact that the only character in this game that doesn't talk is the classic sonic. Sonic team might realize that tails didn't grow very much since the beginning of the saga and they present us a baby-like classic two-tails in front of the actual kid-like tails, and a teenager-like actual sonic in front of a kid-like classic sonic that doesn't say a single word, making him seem a little mind retarded, though he is still very expressive.